Further NIM expansion underscored by sticky CASA deposit base. Subdued client activity and risk-off sentiments are likely to weigh on wealth management and trading income. We upgrade our call to ADD with a higher Target Price of S$29.00. Trading closer to long-term mean of 1.2x CY19 P/BV, valuations have become more palatable. We expect DBS GROUP HOLDINGS LTD (SGX:D05) to report 4Q18 net profit of S$1.3bn (-6.5% q-o-q, +8.4% y-o-y). 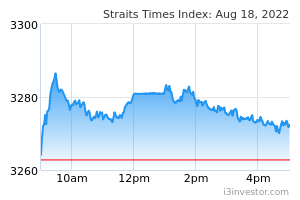 An increase in mortgage board rates and continued pass-through from SIBOR despite flattish margins in HK due to choppy HIBOR may well give asset yields a boost. Having said that, we think that increased funding costs across the banking system may dull NIM expansion in 4Q18. Despite the market’s tapered expectations of Fed rate hikes in FY19, we still expect NIMs to expand as mortgage board rates catch up to SIBOR. We anticipate DBS’s NIM to progress 1bp q-o-q to 1.87% in 4Q18, thus pushing FY18 NIM +10bp y-o-y to 1.85%. We understand that non-trade corporate loan growth has kept up the momentum although unattractive pricing on trade loans continues to be a dampener on overall growth. We expect seasonal weakness in mortgage loan growth in 4Q18; the bank had previously guided for net new mortgage volumes in FY18 to reduce to S$2.5bn from initial estimates of S$4bn before the property cooling measures. We forecast DBS’s loans expanded 0.7% q-o-q in 4Q18 (FY18: +6.1% y-o-y) – broadly in line with management’s guidance of 6-7% for FY18. We think that risk-off sentiments in 3Q18 may have continued into 4Q18. Market volatility is likely to result in weaker wealth management fees from subdued client activity while trading income could be affected by fewer gapping opportunities given a flatter yield curve. Muted non-interest income would be a key drag on 4Q18 earnings. We cut our EPS by 2-5% for FY18-20F to adjust for lower NIM expansion and weaker market-based fees. In a low interest rate environment, we think DBS could still be best positioned to capture NIM expansion given its sticky CASA deposit base. We roll over to CY19 and raise our GGM-based Target Price to S$29.00 (1.4x CY19F P/BV). 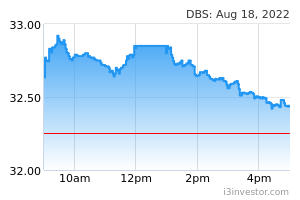 We think DBS’s valuations have become palatable close to its long-term average of 1.2x CY19 P/BV vs. ROE of 12.0%. Catalysts/downside risks to our call are stronger loan growth/weaker sentiment due to trade tensions and asset quality pressures from regional markets.